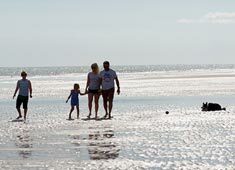 Sand le Mere is a family-friendly holiday park near Withernsea on the East Yorkshire coast. 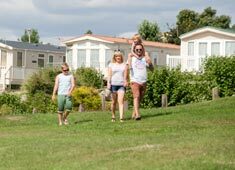 Guests can stay in a wide choice of static caravans, a luxury lodge or bring their own tourer - the park caters for all holiday needs. The superb facilities include a leisure complex with indoor swimming pool, soft-play, restaurant and bar, plus kids clubs, brilliant evening entertainment and a well-stocked fishing lake. Touring customers enjoy dedicated facilities including showers, toilets and wash basins, fresh water points, waste disposal and Elsan points for chemical waste. Park facilities a nature trail, an outdoor playground and a well-stocked fishing lake. 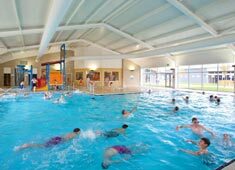 Sand le Mere's modern leisure complex includes an indoor pool with splash zone for children, and there's also soft-play and an arcade, plus a cafe, restaurant and bar, and an entertainment venue. The park offers some of the best evening entertainment on the Yorkshire coast. The energetic entertainments team provides quizzes, shows and fun every night, and you'll also find some stars and celebs on stage. The year's line up includes Shayne Ward, Ray Quinn, Ben Haenow and Amelia Lily. You might also see team song and dance shows or the thrills of live wrestling. Without leaving the park you'll find daytime activities like splashing around in the pool, or racing through the aquajets. Guests have plenty of chances to socialise and get active, so try the kids clubs or Boogie Bounce fitness. 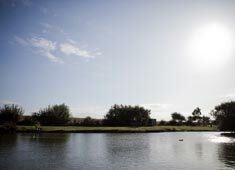 You enjoy some tranquil alone time at the fishing lake or get the whole family competing over crazy golf or archery. If all that isn't enough to have you breaking a sweat, you can push yourself with even more sport. Trained coaches at the park will help you become the best and you can take on football, Kwik cricket or balanceability bike lessons. Some activities will involve a modest extra fee. There's plenty to enjoy in the local area, including the seaside resort of Withernsea and its famous inland lighthouse. Spurn Point is a nature reserve with beautiful walks and wildlife spotting opportunities. Head to Hull's historic Old Town, explore its maritime heritage and fish trail, and find out more in numerous free museums. Kids will love Hull's incredible aquarium, The Deep.